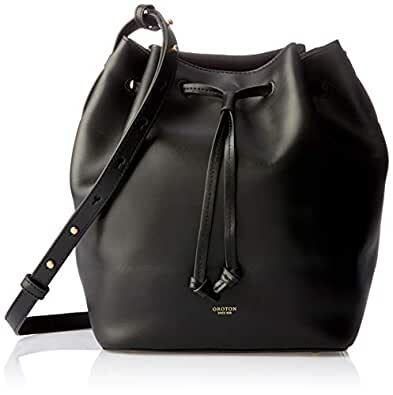 The Oroton Escape Medium Bucket Bag is the perfect everyday bag. The combination of the Black smooth leather and the Brass hardware is classic, and the leather drawstring closure with magnetic snap tab keeps your things safe. The unlined interior with hanging pocket offers plenty of room, and the adjustable shoulder strap makes it extremely versatile and comfortable. The leather is naturally tanned, and will darken over time, creating a unique piece.